Ahhhh… springtime. The temperature begins to rise, flowers start to bloom and gray skies slowly turn blue. This time of year calls for a deliciously light and refreshing cocktail. 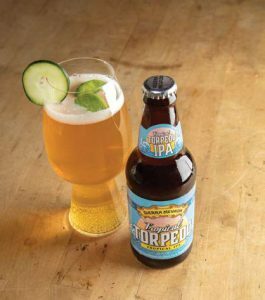 Jacquelyn Dodd (a.k.a The Beeroness) has created the perfect IPA cooler to enjoy as the weather warms. and gently stir. Garnish with a cucumber slice and basil leaves.